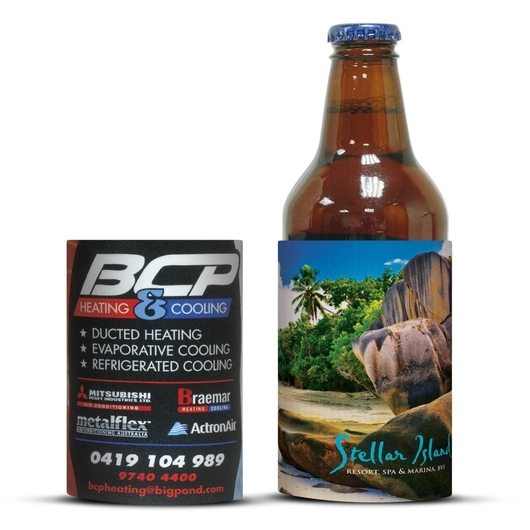 A high quality neoprene stubby cooler with a full colour sublimation print. Your favourite classic stubby cooler made with a 5mm genuine neoprene. It's a size that will hold most stubby bottles or cans and keep your drinks cool with it's great insulation properties while also keeping your hands dry. Comes with stunning full colour as standard! A fantastic way of getting your logo seen.